So says Frank Rossi, an 85 year old Kansas City resident whose live has been full of music since he started playing the violin as a third grader in Des Moines. All the way through school, Frank experimented with different instruments, including piano and accordion. He even played the baritone horn in high school. As happens with so many of us, Frank did have some difficulty finding time for music as a young adult, while he was trying to make his way in the world. 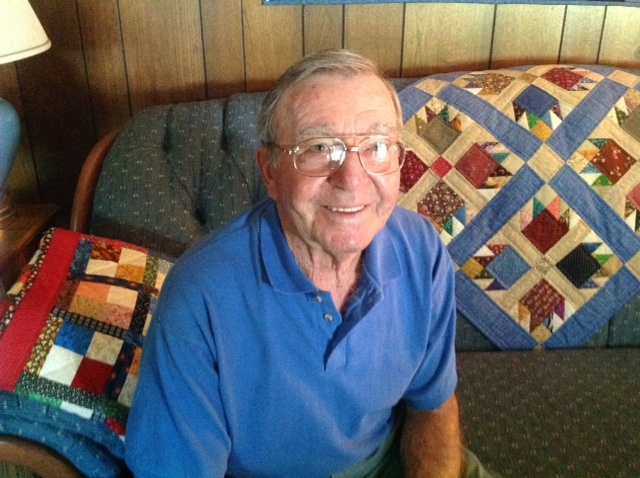 After time serving in the U.S. Navy, Frank returned to the Kansas City area to run a service station, and working ninety hours a week didn’t leave much time for that. 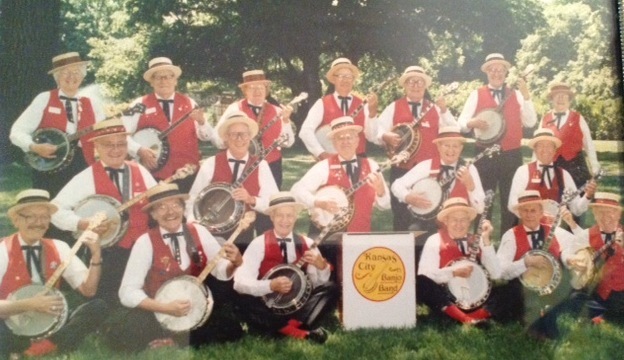 Frank still speaks with great enthusiasm about playing with the banjo band, even though the group is down to three regular members, with no performances on the schedule. These days, Frank continues to share his musical gifts throughout the community by performing with a pianist at area nursing homes and singing regularly at the open mic session with a country dance band in Kearney, Missouri every Tuesday. Frank and Shirley dance together at least once a week, and Shirley is generous in letting other women share her dance partner. When I asked Frank what he would say to other seniors considering singing or dancing or playing a new instrument, his answer was short and sweet: “Do it.” It’s clear that music and dancing are a big part of keeping the Rossis’ lives active and full. As Frank says, “I want to enjoy this until the day I die.” Just from this short conversation with these two, I can’t imagine it any other way. KC Folks: Interested in learning a new instrument? I’d be thrilled to help you get started (or re-started) on piano or guitar. Find out more here.